Two time Olympic champion Ekaterina Gordeeva: “We did not want to advertise in the media our romance with Ilja Kulik." Translation of an interview with Ekaterina Gordeeva (EG) by Jaroslav Korbatiov (JK) a correspondent of a Russian Language newspaper “Komsomolskaja Pravda” printed on November 1, 2007. 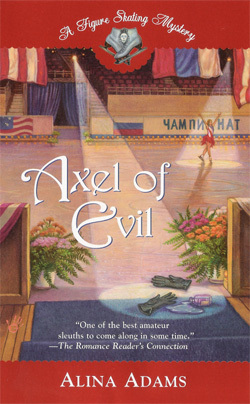 The world of figure skating probably does not know of a more exiting and piercing story like the story of sport triumph and personal drama of Ekaterina Gordeeva. Together with her partner and husband Sergey Grinkov, Ekaterina (Katja) won gold medals at two Olympic Games. They were probably the most beautiful pair in the world of sports. At her first Olympic Games in Calgary, Katja received the title of Miss Olympics. Four years later in the USA, Katja and Sergey had a daughter Dasha. In 1994, they came back to amateur sports to become number one at the Lillehammer Games. The beautiful fairy tale ended on November 20, 1995 at Lake Placid. In practice, Sergey suddenly dropped to the ice. His heart gave out. There was no much information in the Russian press about how the young mother of 24 coped with her loss. 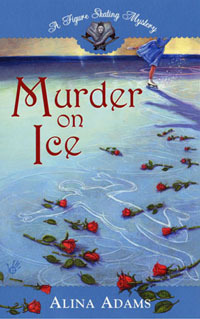 Katja stayed in the US and the Russian public did not see her on the ice for about 10 years. The information from overseas was that a few years later, she had a romance with the winner of the Olympic gold at Nagano- 98, Ilja Kulik, and that in 2001 they had a daughter – Lisa. This October, Katja came to Moscow to receive an award for figure skating – “Crystal Ice” in the category “Legend”. JK – Katja, how does it feel to be a “legend” at such a blossoming age? EG – The title “Legend” is a little too much, but it is a nice feeling that they remember me after so many years. It seems that at this time in Russia, the people are trying to bring back what they lost. In the past, a whole generation of figure skaters left Russia. Valova and Vasiliev, Selezneva and Makarov, Sergey and myself ended up in the US because there was no work for us here. There was not a single ice show in Russia. The whole country was in crisis. Now figure skating is gaining back its former popularity and the heroes of the yesteryears still have something to show. JK – Is the “Legend” award given to you for the 2 Olympic medals or for the history of your love with Sergey? EG – Of course Sergey’s death gave us a tragic aura. It became, as they say in the US, a story. Maybe from the outside it looked as a hot story, but it is hard for me to look at my life with the eyes of an outsider. What happened to me was terrible and it was very difficult for me to turn that page. Bur Sergey is always in my heart. It will not go away. JK – Do you watch your old performances? EG – Very rarely. Last time it was last year. We were coaching a pair and I needed to see how exactly we performed an element with Sergey. I do not recall the past every day. It is already 11 years since, but the first 3-5 years were very difficult to be alone. JK – Ilja Kulik said that you were hiding your romance. Were you concerned that your admirers would be jealous of the memory of Sergey. EG – We tried to hide only from the press. They pursued us with the proposal to create a new story. For the public it was a story, but for me it was my life. And when Ilja suggested not to advertise our relationship in the press, I supported him. All the friends who were with me when Sergey was gone, accepted our union with Ilja with a complete understanding. JK – How did Dasha accept Ilja as the head of the family? EG – She was six when we met with Ilja at the show Stars on Ice. At first they were just friends. Dasha did not consider him a father, but eventually they became close. He put her on skates and trained her to do the jumps and other elements. He coached her till she was 10 years old and then she went to another coach since it was hard for a father or mother to be a demanding coach. JK – Does Dasha remember Sergey as a father? EG – When Sergey died she was only 3. She remembers him from the stories and pictures. JK – Do you perform together with Ilja? EG – Once we performed together. But than we understood that we do not have time to skate together. While one is skating in the show the other one stays with the kids. JK – Thanks to the TV ice shows the spectators saw the stars of yesteryears. Did they invite you to the shows? EG – Yes they did, but this year we could not participate in the long shows. Our youngest daughter went to school. Now the family is number one for me. I would go to Russia for one or two short shows. JK – After your exciting life in sports is the quiet life of a housewife boring? EG – I do not consider myself a housewife. I do a lot of shows. I like to perform, to be in good shape. Also, the shows are our main source of income. I only stopped performing for 2 years after Lisa was born. 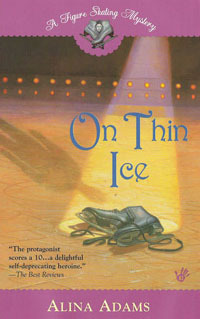 When she grew up, I went back to "Stars on Ice." But I do not leave the kids for more than 2 weeks. JK – Do you daughters grow up Americans? EG – At home we speak only Russian. My daughters speak without any accent. We regularly come for vacations to Moscow. They know their grandparents and find their way in Moscow very well. Who would they be when they grow up? I learned not to look too far ahead.